America’s growing diversity does not hinder growth — it supercharges it. ACCORDING to some, America is closed for business. Our leaders responded to terror attacks in Paris and San Bernardino, Calif., with fear and xenophobia. Donald Trump issued a statement that as president — heaven forbid — he’d ban all Muslims’ entry to the United States, an outrageous statement that shocked and offended all sensible Americans. But it’s important to remember that Trump’s proposal isn’t too far removed from the current American political mainstream. The governors of at least 31 states have announced that they won’t accept Syrian refugees. Over the last month, politicians have stumbled all over themselves in a race to the bottom, each seemingly trying to make the most outlandish, unconstitutional claim. U.S. Sen. Ted Cruz, R-Texas, similarly suggested a religious test, even though he claimed last year that America should welcome Syrian refugees. Let’s be grateful for those leaders who stand up against fear. In The New York Times, Gov. Jay Inslee vowed to uphold Washington state’s “reputation as a place that embraces compassion and equality and eschews fear-mongering.” And President Obama rightfully called the wave of exclusionary hatred a “potent recruitment tool” for the Islamic State. Obama also called for tougher gun laws, a common-sense response. Nick Hanauer is a venture capitalist with Second Avenue Partners in Seattle. The exclusionary mindset is wrong on every level. On a policy level, Trump’s proposal is unconstitutional, and governors don’t have the power to refuse refugees. On a moral level, the Bible that these politicians are so happy to invoke as part of an unconstitutional religious test for incoming refugees is packed with commentary about opening your homes to people in need — you know, refugees. And on an economic level, America has succeeded primarily because it has an unbeatable record of inclusion. Here’s the thing: In our modern technological economy, growth and prosperity are created through a virtuous cycle between innovation and demand. Innovation is the process by which we solve all human problems, and thus raise living standards. Consumer demand is the mechanism through which markets distribute and incentivize innovation. And it is economic inclusion — the full, robust participation of as many people as possible from as many different backgrounds as possible — that drives both innovation and demand. Innovation is an evolutionary process and, just like in the biological world, diversity is the key to evolution. The more cognitive diversity we have — the more people simultaneously approaching the same problem from as many different backgrounds and perspectives as possible — the greater the rate of innovation. It’s not how hard you try; it’s how many different ways you try to solve a problem that leads to success. The evidence is clear: Diversity does not hinder growth, it supercharges it. Diversity is America’s most valuable resource. It is what makes us the most innovative nation on Earth. Inclusion strengthens America’s ability to compete on a global stage. Every potential American citizen we scare away with our fear-mongering weakens our potential for growth. 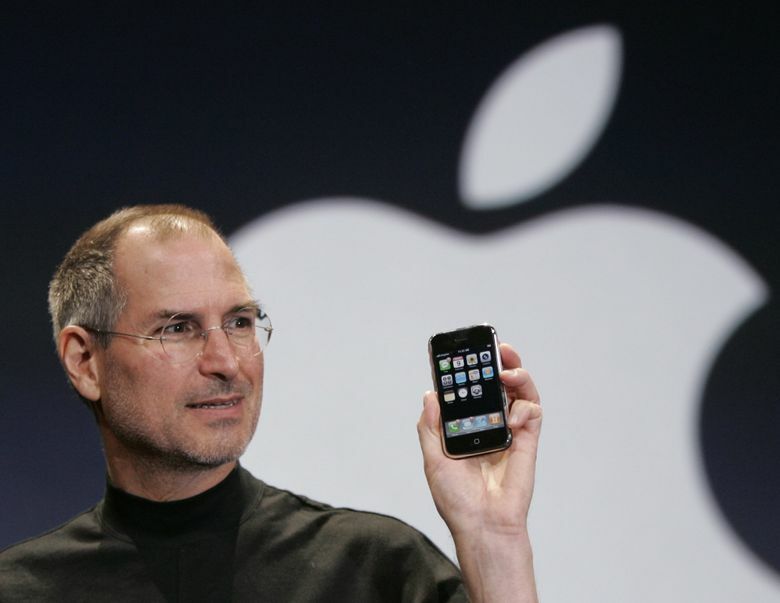 For crying out loud, the poster child for innovation in the 21st century, Steve Jobs, was the son of a Syrian migrant. Imagine an America where Jobs’ father was turned away because of his Muslim faith. You might be reading these words on a massive 25-pound desktop computer right now. When we exclude people, our perspectives narrow, fewer people feel welcome, fewer problems are solved and we enter an economic death spiral of homogeneity. By pulling up the welcome mat and barring the doors to the worshippers of the fastest-growing religion in the world, these politicians aren’t just failing the moral test — though they certainly are doing that — they’re also harming our economy. By reacting with base fear, they demonstrate a fundamental misunderstanding of what makes America such a potent economic power. The diversity these immigrants represent won’t harm our country or hinder our economy. They will be a benefit to both.